Marko Kovic is the co-founder and CEO of the consulting firm Ars Cognitionis, the president of the nonprofit think tank ZIPAR, and the former president of the Swiss Skeptics association for critical thinking. Originally from Croatia, he lives in Zurich, Switzerland. Art by Don Davis, 1970s. Thanks to a series of serendipitous technological breakthroughs a few decades earlier, the creation of large-scale, self-sustainable human habitats beyond Earth has become feasible. There are already close to half a million people living on Mars, many of them native Martians. The Mars colony consists of two major habitats: one created and maintained by the United States, the other by China. The habitats started out as scientific missions, and have since expanded into civilian and commercial operations. They are, in effect, foreign territories of the US and of China where people live and work essentially the same way as they do on Earth. In a controversial recent Martian referendum, the majority of the Martian inhabitants have expressed a wish for political autonomy: they don't want to be outposts of faraway Earth countries any longer, but instead want to become a united and independent planet. Unsurprisingly, neither the US nor the Chinese governments have recognized the referendum. Whereas the US government is still deliberating on an appropriate course of action, China has already sent its warships to Mars to suppress the 'insurgency' with any means necessary, including an armed invasion both of the Chinese- and the US-controlled habitat. Surely it could never come to such a monumental space-colonization quagmire? Surely there are laws and institutions that regulate what can and cannot happen during space colonization? Surely uncertainty, lawlessness and chaos in the matter of expansion and colonization are spectres of the past, not the modus operandi of our future expansion into space? The answer is no. There is no meaningful space-colonization governance framework to speak of. As of now, in 2018, space colonization is a veritable free-for-all. And this absence of a forward-looking space-colonization governance framework could have disastrous consequences. Almost any kind of modern-day human activity is embedded within one or multiple governance frameworks, and the greater the scale of the activity, the more comprehensive and complex the governance framework tends to be. Even though people tend to dislike the labyrinthine ways of bureaucratic procedure and the frustrating reality of red tape, governance is both necessary and a blessing. Rules that govern human activity reduce transaction costs, create planning security, and increase the probability of good outcomes in uncertain decision-making contexts. The epistemic and moral progress of human civilization seems to, at the very least, correlate with progress in collective governance. We live in a rules-based world, and we are better off for it. Space colonization will create a new set of governance challenges. Even though these challenges are not fundamentally different from existing governance problems, they are on a scale never before seen in human history. That is why space-colonization governance should be a global priority even today, before colonization is technologically viable. There is an almost infinite amount of specific possible governance scenarios in which some kind of space colonization activity might cause some kind of problem. Speculating about specific scenarios and spectacular ways in which things might go wrong is, therefore, somewhat of a never-ending story. From a conceptual, birds-eye view, however, possible space-colonization governance problems fall into one of four general categories. These four challenges will be the direct consequences of four major colonization milestones on a timeline that begins today (no colonization) and ends with humans inhabiting one or several large-scale independent and sovereign habitats (an independent planet Mars, for example). who is allowed to engage in colonization activities? what kind of rules and laws apply in these pioneering colonies? what do we do with colonies that want to secede and become independent? how exactly should different independent human habitats such as Earth, Mars, Venus or others interact with one another? In theory, the first question, regarding who is allowed to engage in space colonization, is addressed in the Outer Space Treaty from 1967, which is the current foundation of extraterrestrial governance, and a remarkable historical milestone. Crafted by the US and the USSR in the wake of nearly disastrous confrontations, it stipulates that space and natural celestial bodies cannot be appropriated or claimed by governments and, more generally, space can be explored and used only for peaceful purposes. Remarkable though the treaty is, it is more of a symbolic agreement than a detailed governance structure. It does not really solve the problem of who is allowed to engage in space colonization. Would a mining company operating on the Moon be in violation of the non-appropriation clause of the Outer Space Treaty? Furthermore, even though the Outer Space Treaty's clause against occupation sounds sensible, it is not clear what it means in practice. Would it de facto lay claim to a portion of Mars, merely by physically occupying it? The second challenge, the problem of governance within early colonies, is also touched upon by the Outer Space Treaty. The jurisdiction of any spacecraft and any personnel on that spacecraft, the treaty stipulates, is the jurisdiction of the spacecraft's and/or the personnel's country of origin. The principle is simple, and it has proven workable for complex international missions such as the International Space Station. However, governance within early colonies will not be able to rely on this principle alone, for two reasons. habitats on Mars or even the Moon will be so far from Earth that enforcing laws of the respective country of origin is logistically challenging. If an inhabitant of a Mars colony commits murder, for instance, it would be suboptimal to have to wait several weeks or months until law enforcement from Earth arrives to investigate. why colony governance needs to be more sophisticated is the complexity of decision making within colonies. Governance in colonies is not only about 'big' problems such as criminal law, but also about the small, mundane, yet complex decision-making necessities that are bound to arise. Even the best-trained and well-disciplined colonists will, sooner or later, engage in interpersonal conflicts, as astronauts have been observed to do for decades (Psychology and Culture during Long-Duration Space Missions). In the context of low Earth orbit missions, conflict resolution can work through direct commands or through aborting missions, but in distant habitats, the colonists will need to have means of local conflict resolution. Colonies are not just missions - they are communities. For these communities to thrive, they will need well-thought-out rules of governance, and the country-of-origin-principle is too simplistic to be useful. What might a working system of governance in an early colony look like? no parliament, no political elites and, ideally, little to no interest-group influence - and no corruption. That sounds great in principle, but there are major problems with direct democracy. First, the colonists in question would have to actually adopt a direct democratic system and non-democratic countries that might engage in space colonization, such as China, are unlikely to embrace direct democracy in their colonization projects since they 'reject democracy' here on Earth. Also, the practical realities of true direct democracy are very challenging. if all of us were to be lawmakers and administrators all the time, we would have no resources to pursue any other goals, which would lead to an absurd situation where everyone takes part in governing essentially nothing at all. There is no true direct democracy in the world today so there is no good reason to think that any future space colony of nontrivial size could actually be a direct democracy. An authoritarian approach might seem appealing given that the reputation of democracy as a problem-solving framework has suffered in recent times (as well as the enormous economic and technological progress that China has experienced in a recent decades). To be sure, some aspects of early colonization efforts will automatically default into something like autocratic decision making since spacecraft passengers en route to their destinations will have to submit to the orders of the crew (much as civilian passengers on airplanes do today). But authoritarianism is unlikely to be a viable governance framework in early colonies. Endowing a single colonist or a group of colonists with immutable decision-making powers is dubious at best. The potential benefit of a benevolent and competent dictatorship is outweighed by the risks of an abusive and incompetent dictatorship. Authoritarianism is a bad bet in the long run. The governance of early colonies is a tricky problem. If we try to model intracolonial governance as direct democratic utopia, we will almost certainly fail. If we model intracolonial governance as authoritarian regimes, we risk making bad and incorrigible mistakes. Governance within early colonies should, ideally, find a middle ground between sound democratic decision making and technocratic expertise and analysis. Finding that middle ground will be challenging, as will figuring out how and when very early exploration missions should transition into more complex and more autonomous modes of governance. The third challenge of colonization governance, the problem of secession and independence, could prove to be a crucial juncture in the future of humankind. Even if we manage to muddle through the early colonization efforts with imperfect governance schemes, governance will be even more critical once colonies become larger and more self-sustaining. The idea of secession and independence will take root sooner or later in the colonies, as it arguably should: if the whole point of space colonization is for humankind to safely exist beyond Earth, then large and mature colonies should not be controlled by Earth indefinitely. The goal is for humankind to spread beyond Earth, not for Earthlings to send obedient servants into space. future colonies will need to be independent and self-sustainable habitats, not mere colonial outposts controlled from Earth. However, it is not clear how independent habitats are supposed to come about. Imagine that, at some point, 100 million people live on a terraformed Venus (the gravity of Venus is close to Earth's, which makes it, in principle, an attractive habitat). 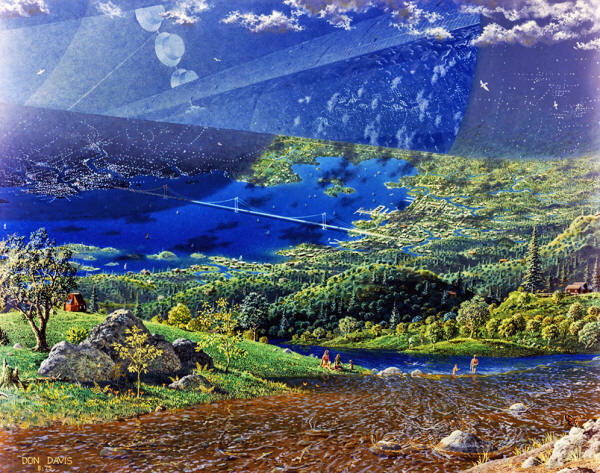 The colony is fully self-sufficient and sustainable and, in a referendum, the Venusians opt for secession from Earth. Secession is immensely challenging even within the context of advanced Western democracy. Though sovereignty and self-determination have become a generally recognized principle with the United Nations' Declaration on the Granting of Independence to Colonial Countries and Peoples in 1960, the reality has always been complicated. Beyond Earth, self-determination is likely to be even more complicated and, accordingly, even more difficult to govern. A governance framework for colonial self-determination would need to cover at least three aspects. there should be some universally agreed-upon criteria for when a call for independence is legitimate. there should be some universally agreed-upon criteria for what kind of political system aspiring independent habitats should have to be. Finally, we need to define the actual process of seceding so that the transition from colony to independent habitat is as smooth and peaceful as possible. The diversity of political systems on Earth makes coming to consensus about these three aspects for secession criteria exceedingly difficult. the US would be unlikely to allow aspiring independent habitats to become illiberal authoritarian regimes, whereas China would be unlikely to allow them to become liberal democracies. if we fail to define and enact a consensual secession protocol within a governance framework that offers a path for peaceful secession, we risk repeating the horrors of past independence movements, but on a new and immense scale. Let us be optimistic and imagine that the first three major governance challenges have been overcome in the best of all possible ways. We now have two independent and sovereign human habitats, Earth and Venus, existing on equal footing with one another. the problem of pan-human governance. when we have global and, ideally, sensible governance rules that span all humankind, then cooperating, planning and solving problems is generally easier. In the case of space colonization, pan-human governance would also have the additional benefit of counterbalancing the centrifugal effect that large distances are likely to create in terms of cultural and moral trajectories within different habitats. 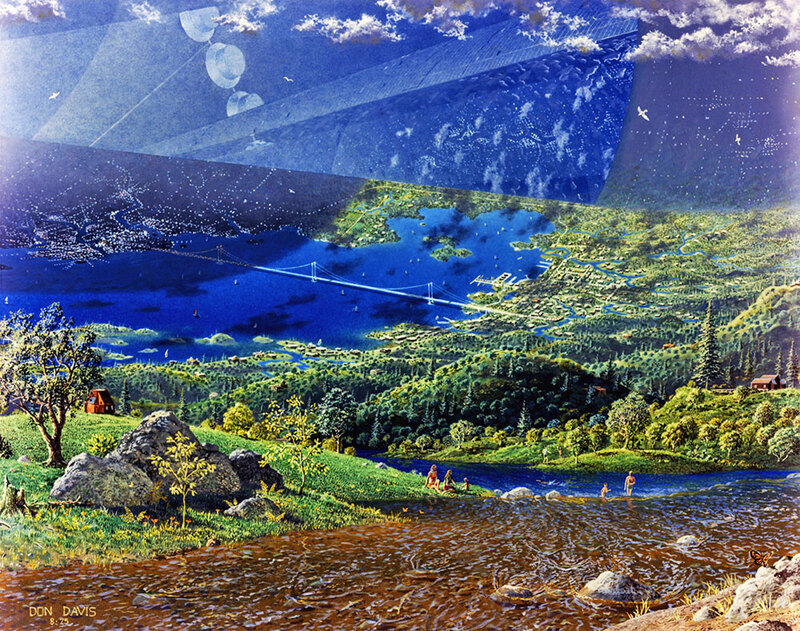 A colonized future in which there is no pan-human governance and in which disparate habitats go their own ways does not seem desirable, not least because such a development could increase the risk of total separation of different strands of humankind, with the accompanying risk of eventual conflict (Space Colonization and Suffering Risks - Reassessing the "Maxipok Rule"). What could pan-human governance with independent human habitats in the solar system (and hopefully beyond) look like? A good approach might be to continue using the system that we currently have, and try to expand it in order to incorporate the new layer of extra-terrestrial expansion. That would mean our current common polity and governance levels of the local, regional, national and international levels would be expanded to include something like an interplanetary or inter-habitational level. On an organizational level, this could be performed by creating an institution similar to the UN in which all habitats are represented and where they create policy together. Of course, the introduction of this kind of supra-planetary layer of governance would not be as trivial and frictionless as the description above might suggest. Introducing new layers of governance usually means that the sovereignty of actors on lower governance levels is being eroded, and it will almost certainly prove challenging to reconcile the smallest level of sovereignty, individual freedoms and decision-making capabilities with the new highest-order level of sovereignty, a Federation of human habitats. However, if historic data offer a clue as to what might happen, it could very well be that the creation and expansion of higher-order levels of sovereignty does not necessarily do away with lower-order sovereignty. Indeed, the adoption of higher-order levels of sovereignty could result in a net gain in some forms of sovereignty on lower-order levels. An example (State Sovereignty and International Human Rights) for this counterintuitive effect was the codification and (at least formal) proliferation of the idea of human rights. How can we go about actually addressing these four governance challenges? While we are, of course, still far from having detailed solutions to each challenge, we can and should start thinking about general strategies for how we might arrive at a specific solution. To my mind, there are three such strategies. We can decide to do nothing in particular and let history take its course, with the expectation that we will successfully cross the bridge in question when we get there. After all, it has worked out in the past. This position is understandable, and is probably rather prevalent. For example, Steven Pinker, a tireless advocate for science and reason, seems to reject the notion of existentially catastrophic outcomes because the history of human civilization has so far been a history of progress, not of catastrophe. But the 'waiting for the bridge' approach is dangerous. Even though the history of humankind is, overall, a history of things getting better, it doesn't mean that things simply get uniformly better. the United Nations (UN) was created in response to the Second World War - the modern international order is the phoenix that rose from the horrific ashes of monstrous conflict. If we take a 'waiting for the bridge' approach, we potentially risk future disastrous events; we risk repeating history. Yes, we have done OK so far, but that fact is not a guarantee that things will continue to be OK. Maybe we were just lucky. Judging, for example, by the numerous nuclear close-calls during the Cold War, we might not want to put too much faith into our ability to muddle through. The second strategy for working on solutions to the governance challenges could be labeled incrementalism. We could estimate the general chronological order of governance challenges, and try to find solutions in that order. In contrast to the 'waiting for the bridge' strategy, we would be trying to do so in advance, before we reach the proverbial bridge. This kind of strategy is preferable not least because it represents a form of planning instead of letting things happen. If the international scientific and policymaking communities were to adopt incrementalism, there is the possibility that we would not only be setting the stage for each of the colonization milestones to come, but we would be creating positive incentives for colonization - after all, good governance rules can incentivize good and desired behavior. The incrementalist approach is not without its own set of problems, though. First, if we hope that it could be effective, one might wonder why international space policy (International Law-Making for Outer Space), which has mostly been pursued in an incrementalist manner since the Outer Space Treaty of 1967, did not already generate notable progress in the domain of space-colonization governance. if incrementalism worked, it should already have worked. Secondly, even though we can reasonably predict the general chronology of space-colonization governance challenges, we cannot be too confident about the specifics of the timeline. Progress in colonization is contingent on technological progress, and technological progress does not happen in a linear and predictable manner. Our best planning for incremental solutions to the governance challenges of space colonization might be disturbed by sudden technological innovation. A third strategy is the reverse-engineering approach, which also aims to plan ahead, but in the opposite way as incrementalism. an institutionalized system of peaceful pan-human governance. The logic of this reversed approach is to create the desired final state of our idealized timeline of successful space colonization, and work our way backwards from there. Creating an organization that has the political authority and legitimacy to act as a pan-human Federation would mean creating a body that is tasked with finding solutions for the taxonomically lower problems of a Federation for space-colonization governance. The Federation would, in other words, reverse-engineer governance solutions for the challenges that lie behind it. It would have to bootstrap successful space-colonization governance into existence. For some time, of course, the only member of the pan-human Federation would be Earth, but that is not necessarily a problem. If the pan-human Federation is based on a reasonable enough charter and has a reasonable approach to its procedures, the decisions of a one-member pan-human Federation will not be detrimental to future habitats beyond Earth. the very act of creating a pan-human Federation as a politically legitimate organization would be an acknowledgment of the space-colonization challenges that lie ahead, and of the need to find solutions that will benefit future generations of humans, on Earth and elsewhere. By creating this proto-pan-human Federation, we would automatically acknowledge the right of future colonies to pursue self-determination and independence. The specifics of colony secession and independence would still have to be worked out, but it would be made easier by agreeing first on the overall long-term goal of space colonization. How might we go about creating the pan-human Federation? In practical terms, we are talking about creating an organization that is representative of a new supranational layer of governance. Bringing this new layer of political reality into existence requires leadership from one or several powerful countries. A push for a pan-human Federation led by 'the US' (and partner countries) would probably attract other countries as well, both because the benefits of cooperation are obvious and because every country has a strategic desire not to be left behind in matters of space-colonization governance. Flawed though it might be, the UN has a reasonable track record of bringing the countries of the world together in order to work on pan-human problems. Of course, the pan-human Federation cannot be a mere agency of the UN, but the UN could act as the institutional midwife for bringing the pan-human Federation into the world. There is one additional and very important benefit to creating a pan-human Federation today. Governance, by its very nature, is a rather dull and abstract topic - most people do not get excited at the prospect of complex policy problems. Creating a pan-human Federation now would make the governance challenges ahead much more concrete and therefore more meaningful to us as individuals. Not an image of what we as humankind are today, but an inspiration for what we can be tomorrow.